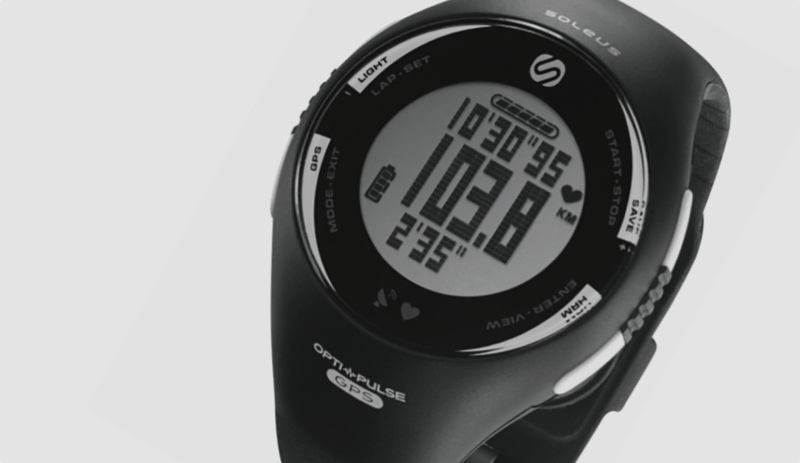 Soleus has just unveiled its brand new running watch, which the company boasts is the first to combine GPS run tracking and a heart rate monitor into one wrist-mounted device. Ditching the pesky chest strap – the normal method of getting an accurate heart reading – the Soleus GPS Pulse instead packs an optical sensor that measures blood flow through the radial artery in your wrist. These sensors are also handily placed in so that the Soleus watch doesn’t have to be worn as tightly as you’d normally expect from optical heart rate monitors. This makes it more comfortable to wear for those long training runs. At Wareable we say that the inclusion of GPS is a must-have for accurate run tracking, and luckily the Soleus doesn’t disappoint. You can track your run distance, pace and position and, due to a partnership Soleus has with the popular running service Strava, you can sync data with the app for perusal on your smartphone later. Water resistant to 30m, the GPS Pulse isn’t exactly the most alluring with its black plastic build (though a white and yellow model are also available), and the circular screen and a curvy design combine for a dated look. However, the features do make up for the last of finesse. Inside there’s a rechargeable battery, though we weren’t told how long you’ll get on one charge, and it’ll support up to five alarms. Lap times autosplit, which is handy, there are six interval timers which is great for knuckling down to some serious training. There’s also enough memory on board to store data on 30 runs and 100 laps. If you’re hankering for a new running watch then Soleus GPS Pulse is on sale now for £199, but make sure you check out our rundown of the best GPS running watches first.